CRM Software Directory Listings (Page 1) and CRM Products Technical Library From Database Systems Corp. Customer Relationship Management Software Solutions. This section of our technical library presents information and documentation relating to CRM Solutions and Customer relationship management software and products. Providing customer service is vital to maintaining successful business relationships. Accurate and timely information provided in a professional manner is the key to any business and service operation. Telemation, our CRM software application, was built on this foundation. But the flexibility to change is just as important in this dynamic business environment. Telemation call center software was designed with this concept from the very beginning. That is why so many call center managers, with unique and changing requirements, have chosen and continue to use Telemation CRM software as their solution. 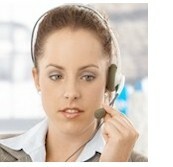 Our Telemation CRM solution is ideally suited for call center service bureaus. When you need to quickly implement a new program or change existing campaigns, Telemation is the CRM software solution of choice. How Can You Guarantee ROI on CRM? Online Competitive Advantage Is All About Your CRM Systems! Customer Relationship Management Can Work for You, But Does It? ROI: Gateway To Implementation or Road Map to Success? Will Vendors ever be able to understand user requirements? CRM Statistics: Who's the Real Market Leader? Banking Innovations - Does CRM Qualify? Does CRM = Sales Effectiveness or Sales Ineffectiveness? CRM Implementations: What Have We Learned? Is Your Customer Part of Your Benchmark Process? Should You Take Care of Your Customers? Will CRM Put You Out of Business? One of the important benefit of today's telecommunication advancements is the ability for your employees to work from home. 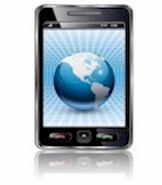 Database Systems Corp. has developed a family of telecom products that promote this capability. Telemation, combined with our PACER call center phone system, fully supports remote agents. Now your customer care workforce can be significantly expanded with the addition of work at home employees. The economic savings and environmental advantages are significant. To obtain additional information about our remote agent capability, you may view our Remote Agent page. Our CRM Software is CTI enabled with the PACER Predictive Dialer phone system including ACD and IVR with Text To Speech Software capability. Telemation call center software supports screen pops with DNIS, Caller ID (ANI), and IVR collected information. But that�s just the beginning. Telemation can perform virtually any phone function. 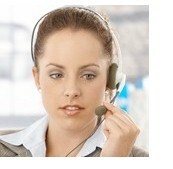 And you can empower your customers with self-help call center functions from your web site. With the PACER IVR and Web enabling features, your call center can now be a 24 by 7 operation without added personnel expense.